Martha Argerich, born in Buenos Aires, won First Prize in the 7th International Fryderyk Chopin Piano Competition in Warsaw (1965). One of the world’s most brilliant pianists, she is highly regarded for her interpretations of the virtuoso piano literature of the nineteenth and twentieth centuries. Her broad repertoire includes works by Bach, Bartók, Beethoven, Messiaen, Chopin, Schumann, Liszt, Debussy, Ravel, Franck, Prokofiev, Stravinsky, Shostakovich and Tchaikovsky. She began learning piano at the age of five with Vincenzo Scaramuzza. A child prodigy, she soon was giving public performances, before moving to Europe in 1955 to continue her education in London, Vienna and Switzerland, with Friedrich Gulda, Nikita Magaloff, Arturo Benedetti Michelangeli and Stefan Askenase. She works with the most outstanding orchestras, conductors and festivals in the world. Chamber music also plays an important part in her artistic activities. She performs and records with pianists Nelson Freire and Alexandre Rabinovich, cellist Mischa Maisky and violinist Gidon Kremer. 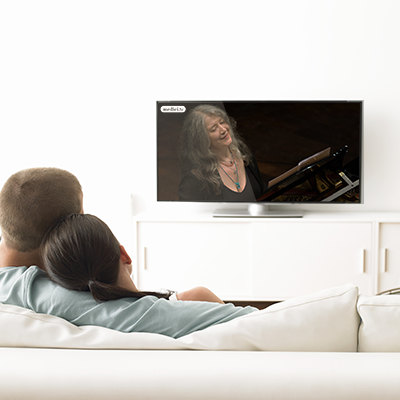 She has made numerous recordings for EMI, Sony, Philips, Teldec and Deutsche Grammophon, winning prestigious awards. Since 1998, she has been Artistic Director of the Beppu Festival, Japan. 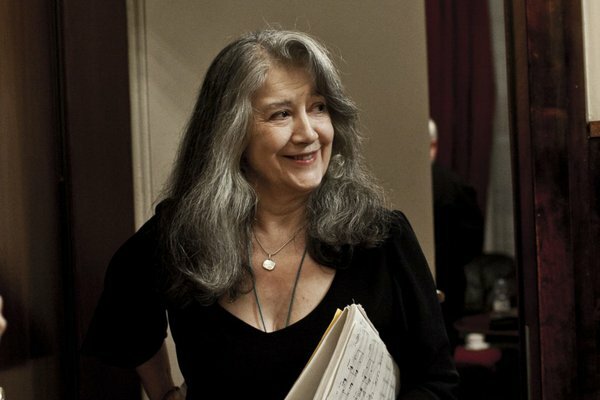 In 1999 she created the International Piano Competition and the Martha Argerich Festival in Buenos Aires, and in 2002 the Progetto Martha Argerich in Lugano. Her many awards and distinctions include the Officer’s Cross (1996) and Commander’s Cross (2004) of the French Ordre des Arts et des Lettres, the award of the Accademia di Santa Cecilia in Rome (1997), the Order of the Rising Sun with Gold Rays and Rosette from the Emperor of Japan and the ‘Praemium Imperiale’ of the Japanese Arts Association (2005). She has performed in Warsaw several times at the invitation of the Fryderyk Chopin Institute, and she has also recorded for the FCI (incl. a DVD featuring Juliusz Zarębski’s Quintet in G minor and Ludwig van Beethoven’s Piano Concerto No. 1 in C major).